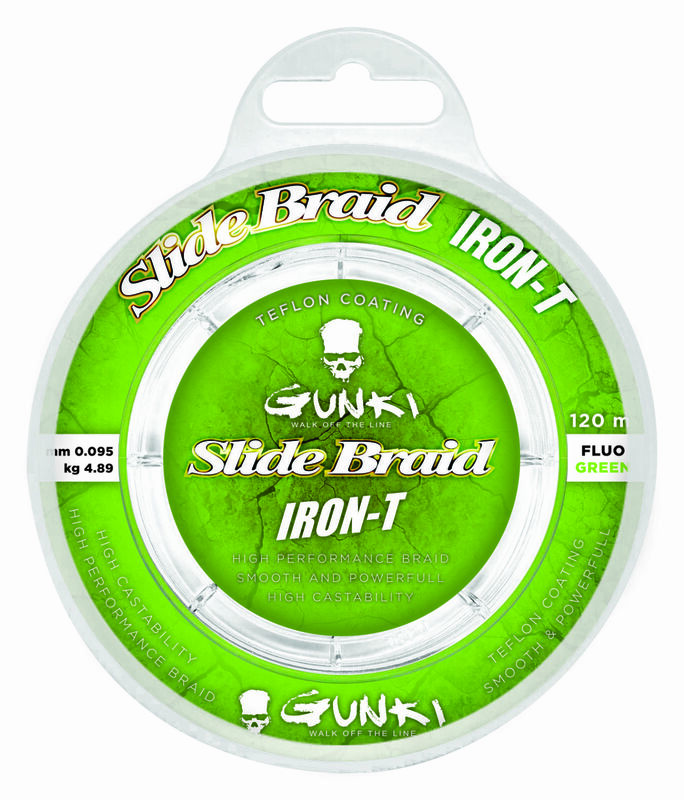 Gunki Slide Braid Iron T 120 Flouro Green Braid is made from 120m of top quality PE fibres, Gunki have worked on the density of this braid to get a perfectly round profile. This rigid line is great for intensive cast and retrieve lure fishing. A Teflon surface coating improves casting performance gaining valuable extra meters every cast and with the absence of stretch gives the line excellent linear strength and great knot resistance. The Flouro Green colour allows you follow every cast and detect subtle pulls on the line.